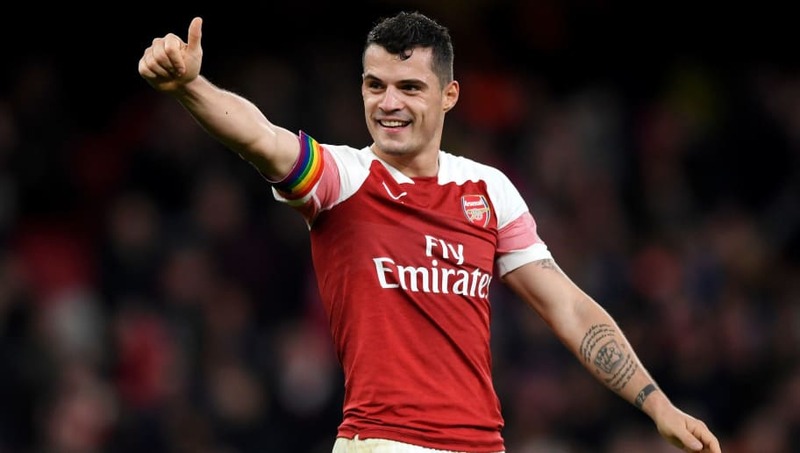 ​Inter have identified Arsenal midfielder Granit Xhaka as one of their summer transfer targets as they look to build a squad to compete with Juventus for the Serie A title. The Nerazzuri have been linked with several high-profile signings in recent weeks, including targeting the likes of Jose Mourinho and Antonio Conte for the managerial role at the club, as they seek to end Juventus' reign of dominance in Italy. According to ​Correire dello Sport, ​Inter scouts have visited London on a number of occasions to watch Xhaka and could soon look to sign him, but only if they fail to secure their other transfer targets. ​Real Madrid's ​Toni Kroos is one of their top priorities, and a move for the German may be feasible after ​Zinedine Zidane failed to confirm whether Kroos has a future with the club. If Real are prepared to part ways with Kroos at a feasible price, Inter will certainly pursue a deal, although they face competition from both ​Manchester United and Paris Saint-Germain. Another name high on their wish list is ​Ivan Rakitic of ​Barcelona. The 31-year-old has been linked with an exit from the Camp Nou for months, and Inter will look to capitalise on that uncertainty with a bid this summer. However, if they fail to land either Kroos or Rakitic, they will turn their attention to Xhaka. The Swiss midfielder recently admitted that Arsenal ​may not be the final step for him in his career, casting doubt over his long-term future at the Emirates Stadium. Xhaka has been a regular part of Unai Emery's starting lineup this season, making 32 appearances in all competitions. Despite this, it has been rumoured that the club could be willing to part ways with Xhaka if a sizeable offer arrives, given the club's recent lack of transfer funds. They were restricted to just loan signings during the January transfer window and, with ​Aaron Ramsey leaving for ​Juventus at the end of the season, the opportunity to raise some much-needed funds could certainly tempt the Gunners to sell.